I hope I never hear my teenager say that I am her best friend. When she gets older, sure, we can be friends, but right now? 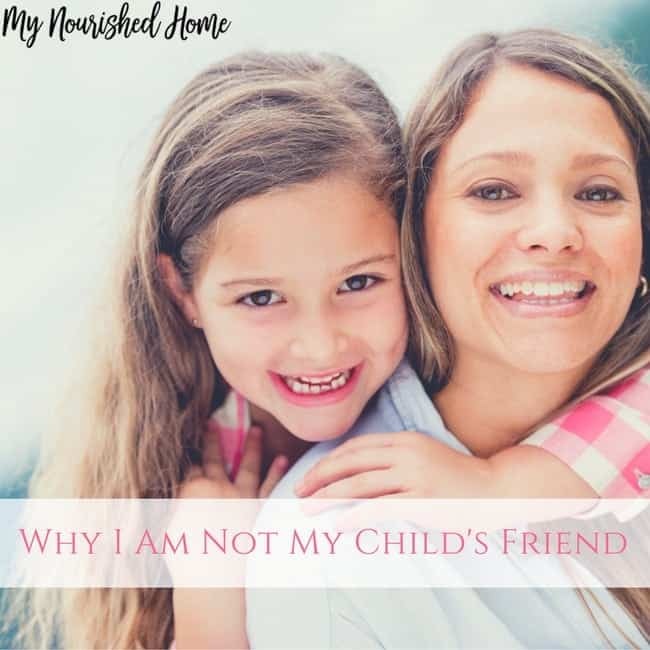 I am not my child’s friend. Right now, in this stage of adolescence and turbulence, I am firmly rooted in the role of mom and that’s a lot different than being someone’s BFF. I’ve read a lot of chatter about of how parents see themselves as their children’s best friend. They boast about how close they are and how their relationship is that of the closest buddies and confidants. I’ve been on a quest to inject more of that fun into interactions with my kids – to become a fun mom, but it has me thinking a lot about the roles of a friend vs. a mom. 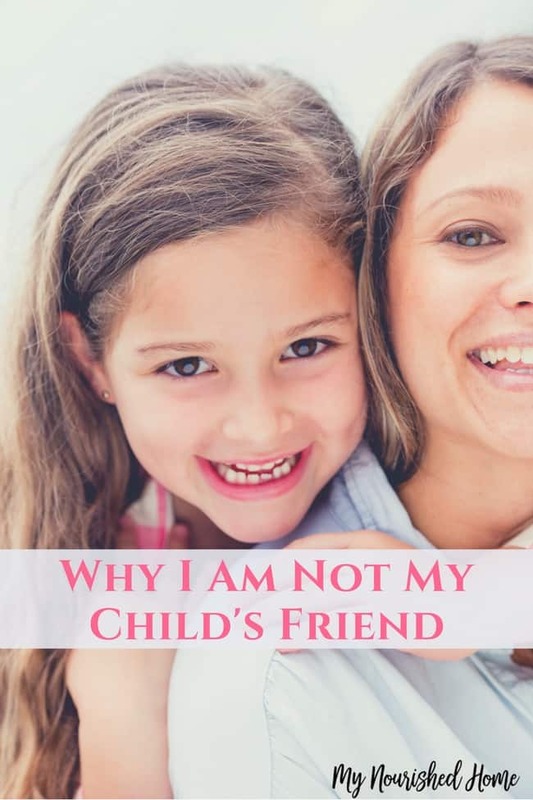 And I have come to the conclusion that I am not my child’s friend – let me explain why. Friends, by their very nature, are those who you develop a bond with by choice. They are there for support, encouragement, and to accompany you to parties and girls’ nights out. The dictionary definition of a friend as a “favored companion” and “one attached to another by affection or esteem.” There is a choice in that bond and no guarantee of permanence or consistency. Unlike a friend, a parent is defined as “a person who brings up and cares for another.” In parenthood, there is a distinct responsibility that is absent in friendship. As a parent, I am responsible for the care and safety of my children first and foremost. Having a good time or sitting and painting our nails is far down on the list of basic needs that I must provide for them. Now, I’m not saying that I don’t enjoy time with my girls because I absolutely do. I LOVE having fun with them and look for ways to make the fun time easier between us. I’m saying that, as their mom, my primary responsibility is to make sure that they are fed, clothed, educated, and, above all, loved. With that responsibility also comes the need to direct, discipline, and enforce rules. Friends don’t do that. Parents do. As an adult, you have most likely been through your fair share of friendships. You develop bonds with people you have gone to school with, worked with, and played sports with in community leagues. You have seen once solid friendships drift apart due to time and family obligations. You have witnessed friendships you thought would never die come to a screeching halt by a breach of trust and loss of respect. As an adult, you know that there is truth to the idea that people come into your life for a season. You also know that good parents are, for the most part, exempt from that impermanence. For me, for my daughters, I want them to know that friends may come and go, but I will always be there. The constant beacon home, a source of comfort, a listening ear, and the cheering squad throughout their life’s journey. I am their home base. As parents, the greatest gift we can give our children is the room to grow and discover who they are while standing in the background and supporting them. That consistency is like a compass that helps them remember who they are and where they came from. Friendships come and go throughout our lives, but being a parent is forever. I am not my children’s friend, I am their mom. I may not be the one they giggle about boys with, but I will be the one to comfort their broken hearts and celebrate their successes. I want them to know that I will be firm and stable in our relationship and that means setting rules, having boundaries, and being okay with not being their BFF. At the end of the day, the bond we have as parent and child is so much more important than the one we would have as friends. I loved this! Really helps put it into the right perspective! Thank you, I will be sharing!